The claimant’s detention pending deportation was unlawful where (1) the Secretary of State had failed to take account of the guidance on immigration detention, which indicated that the mentally ill were usually unsuitable for detention and (2) the Secretary of State had failed to notify the Claimant of his right of appeal once a Court of Appeal had, in a similar case, determined such a right to exist. The Claimant, having entered the UK illegally in 1996, had a string of criminal convictions and a Class A drug habit. Although he had claimed asylum in 1999 the whole of his claim was found by the Asylum and Immigration Tribunal (“AIT”) to be a fabrication. He had married and had two young children in the UK. The most significant issue, however, was his diagnosis in 2003 as suffering from schizophrenia. His last conviction was for theft in May 2006, with a custodial sentence of 8 months. On the date when he should have been released the Secretary of State made a decision under s 3(5) of the Immigration Act 1971 that it would be “conducive to the public good” for the claimant to be deported and in October 2007 (once the Claimant had exhausted all his rights of appeal) made a deportation order. The Claimant was detained pending his deportation; his challenge was brought against that deportation. The basic principle is that detention can only be for the period reasonably necessary for the machinery of deportation or removal to be carried out (R v Governor of Durham Prison, ex parte Hardial Singh  1 WLR 704). A detainee may only be held pending removal for a period that is “reasonable in all the circumstances” and, if it becomes apparent that deportation will not be carried out within that reasonable period, the detainee must be released. (R(I) v Secretary of State for the Home Department  EWCA Civ 888). Furthermore, the judge said, the Secretary of State’s Guidance on immigration and detention contains a general presumption against immigration detention, but recognises that the presumption is readily overcome in the case of a convicted criminal because of the risk of re-offending – which carries a danger to the public – and the risk of absconding – which carries a danger to the deportation process. However, someone suffering from a mental illness is normally considered unsuitable for detention unless there are very exceptional circumstances. This renders the presumption against detention all the stronger. Before he made his decision, the judge had ordered the Secretary of State to make a full review of the Claimant’s detention, with particular attention to his mental state. However, he found that none of the reviews of the claimant’s detention balanced the factors pointing to detention against his mental health; nor was there any specific judgment that the claimant’s circumstances were “very exceptional”. By failing to carry out the test prescribed for the detention of the mentally ill, and by failing to appreciate the nature of the claimant’s challenges to removal, the Secretary of State had “failed to establish that the claimant’s detention was other than arbitrary”. This meant that, for the period in question, it was unlawful. Furthermore – and this was the second basis for the judge’s decision – there had been a procedural snarl-up in this case which had a significant impact on the substantive outcome. 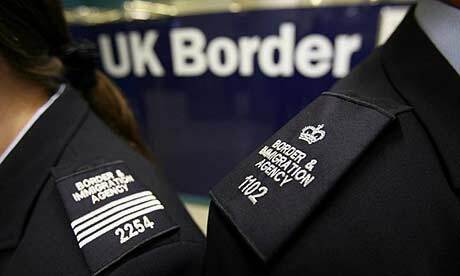 Ordinarily no-one can appeal an immigration decision while he is in the UK unless he has made (amongst some other exceptions) an asylum or immigration claim (section 92 of the Nationality, Immigration and Asylum Act 2002). Such claims include “fresh claims”, which present new material and which the Secretary of State agrees has a realistic prospect of success. Originally the Secretary of State had contended that the Claimant did not have an “in-country” right to appeal on the basis that his claim was not a “fresh claim”. In R (BA Nigeria and PE Cameroon) v Secretary of State for the Home Department (“BA”)  UKSC 7 the Court of Appeal and Supreme Court had found that the “fresh claim” question was irrelevant when it came to deportation orders. The judge in OM found that because BA meant that the claimant in fact had an in-country right of appeal when the Secretary of State decided not to revoke the deportation order, the Secretary of State should by rights have served him with written notice of his decision and informing him of his right of appeal (as provided for by the Immigration (Notices) Regulations 2003) within 5 days of the decision if he was in detention and 10 days if he was not. The Claimant did not therefore get the opportunity to appeal the decision within time: any delay in the proceedings was therefore the result of the Secretary of State’s legal error. The Secretary of State could not therefore be considered as having “exercise[d] all reasonable expedition to ensure that the steps are taken which will be necessary to ensure the removal of the individual within a reasonable time” (as was required by the court in Hardial Singh, R(I) v Secretary of State for the Home Department ). “What is required is that the Secretary of State act with ‘reasonable diligence and expedition’. If the Secretary of State applies the law as it is reasonably thought to be, it does not seem to me that his conduct ought to be amenable to challenge simply on the round that that interpretation is subsequently shown to be wrong”. But – and this is where the counterfactuals become somewhat boggling – once the Court of Appeal had given its decision in BA the Secretary of State appeared to accept that the Claimant had an in-country right of appeal; it was not therefore reasonable for him to maintain his earlier view. This, even though the Secretary of State had appealed that decision. The Secretary of State’s failure to recognise, communicate and declare the “inevitable existence” of the claimant’ right of appeal at that point was unreasonable was a failure to act with reasonable diligence and expedition to effect removal. The Claimant’s detention was therefore unlawful. However, it was illegal: as the judge himself stated, it is trite law that a judgment on interpretation is a judgment as to what the instrument in question always meant: “there is no sense in which the view previously taken by the Secretary of State can be regarded as correct at the time”. It is difficult to see how a legally incorrect approach – and the decision based on that approach – can be reasonable. The judge cited no authority for the proposition that it can. It remains to be seen whether this part of the judgment is appealed: it is, potentially, of significant import.